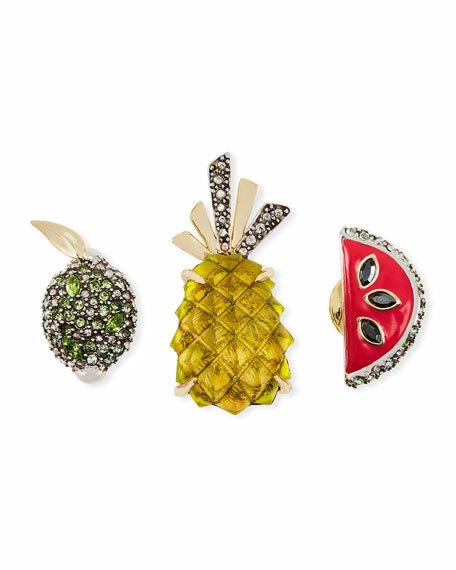 Alexis Bittar fruit pin set with encrusted crystals. Chrysolite and peridot crystal pavé lime. Lucite® pineapple in prong settings. Set includes three fruit pins. For in-store inquiries, use sku #2545021.